Now available in one of southeast Denvers most desirable neighborhoods, Belmont Heights. Enjoy walkability to neighborhood shops and restaurants and a soon to open Tonys Market. Convenient access to I-25, the Southmoor light rail station, DTC and Cherry Creek. Updated and remodeled ranch with new kitchen and baths, new flooring and fixtures, new roof, garage door, sprinkler system, sewer line and fence. Open living/dining/kitchen with fireplace opens thru French doors to the covered patio overlooking the large back yard. Three main floor bedrooms plus two baths. The lower level has a large family/media room, study and bedroom with egress window plus bath and laundry. 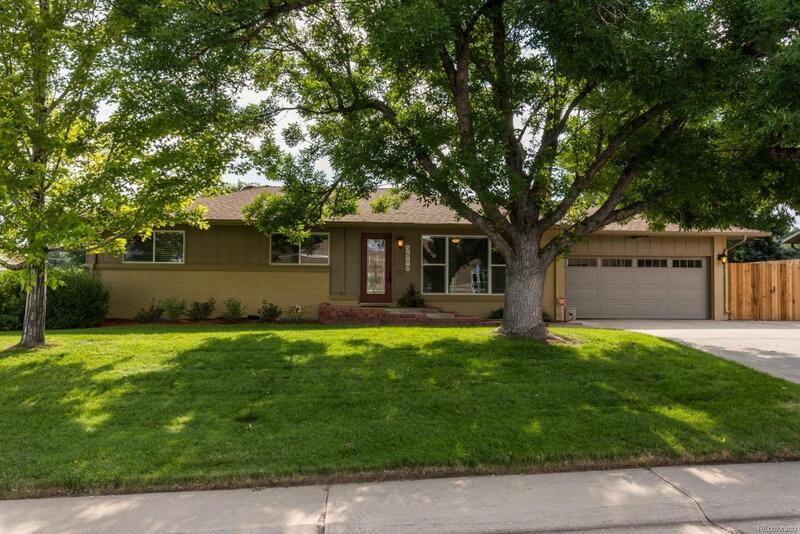 This one has it all, just move right in and enjoy one of the most convenient locations in southeast Denver and much sought after Southmoor elementary school.